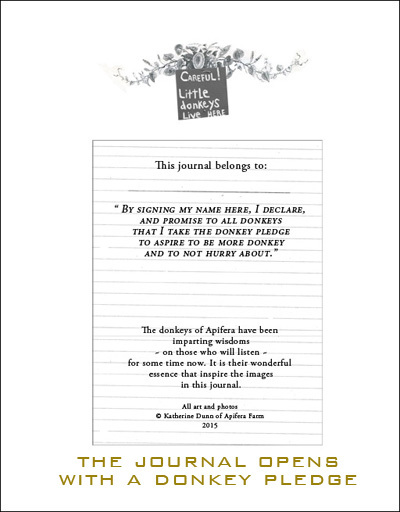 Inspired by the wisdoms of the real Apifera donkeys, this soft covered [but durable] journal is perfect for just about anyone who loves animals, whim, or both. 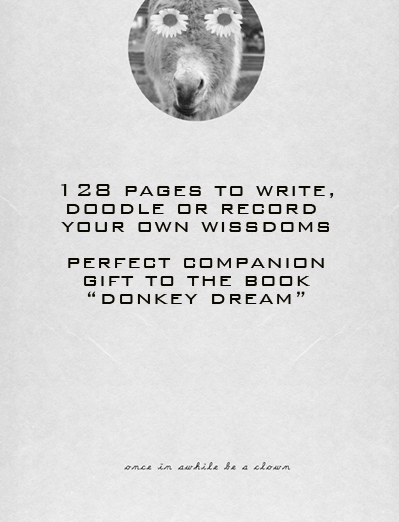 128 pages with ample room to write, ponder, make lists or doodle donkeys. 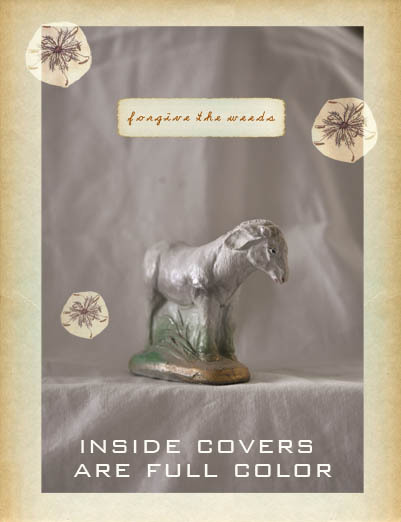 The cover, back cover and interior covers are full color with Katherine's photographs. 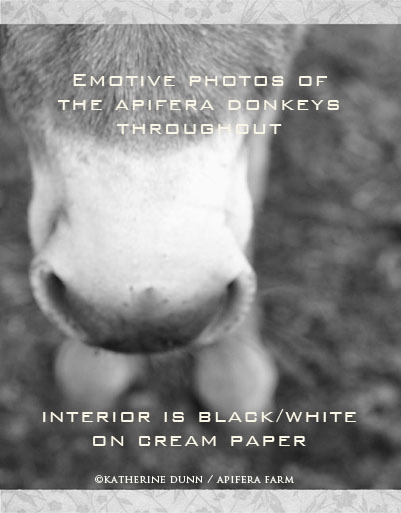 The interior pages are black and white printed on high quality cream paper. 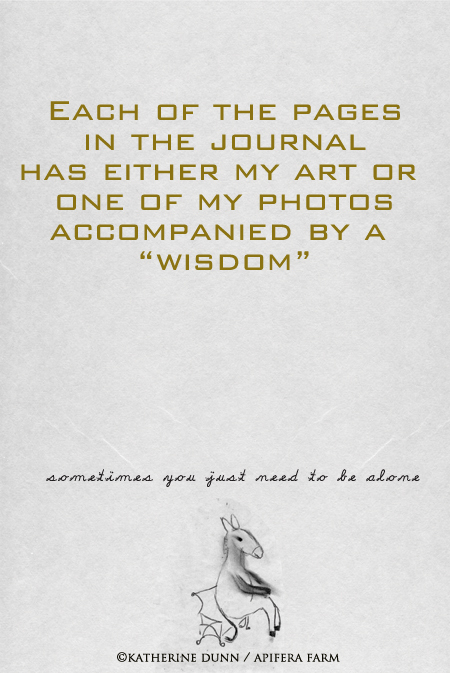 Each spread has either a photo or small art piece by Katherine accompanied by a matching wisdom. 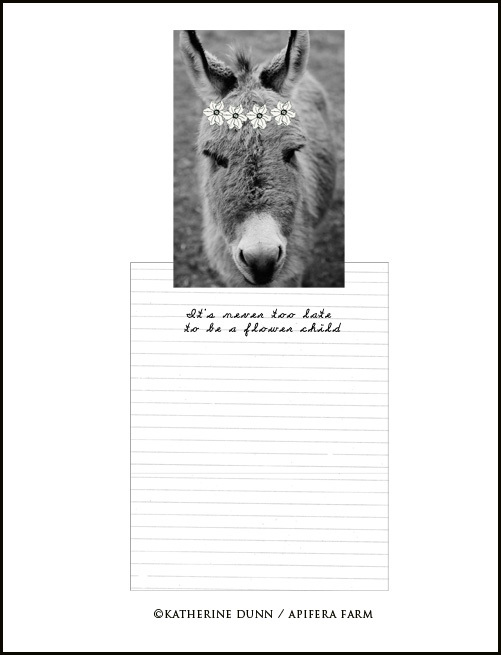 For an added touch of donkey sophistication, the corners are rounded. Perfect bound and 6 x 9", it is lightweight and easy to carry all over the place. 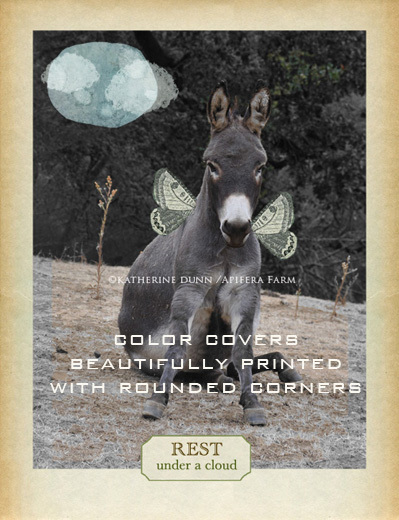 Makes a lovely companion gift to Donkey Dream! Shipping is charged at check out [$6.50 for USA]. All countries outside USA will incur more shipping. Email first before you buy.